Microsoft is tripling down on its Kinect-free approach to the Xbox One with three newly announced bundles including one with a massive 1TB hard drive. The new bundles come less than a month after Microsoft said its console sales had more than doubled after introducing a $400 Xbox One model without the motion-sensing Kinect in June. The new approach may also help Microsoft catch up to rival Sony, which just announced 10 million total PlayStation 4 consoles sold worldwide. Sony has led device sales since both next-generation consoles arrived last year. The upcoming Call of Duty Xbox One bundle featuring a 1TB hard drive. Now that popular gaming titles take up as much as 50GB of disk space, onboard storage is at a premium. 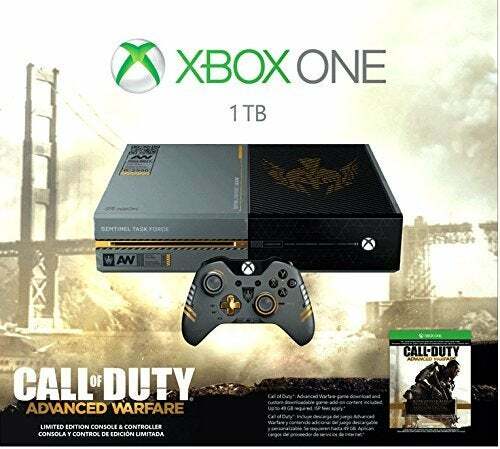 The standard Xbox One already has 500GB, but the upcoming Call of Duty: Advanced Warfare Bundle will come with a whopping 1TB hard drive. The bundle also has a specially designed console, wireless controller painted in a CoD motif, and a chat headset. The bundle will offer special in-game sound effects and additional in-game content. The CoD: Advanced Warfare bundle is priced at $500 with a street date of November 3. 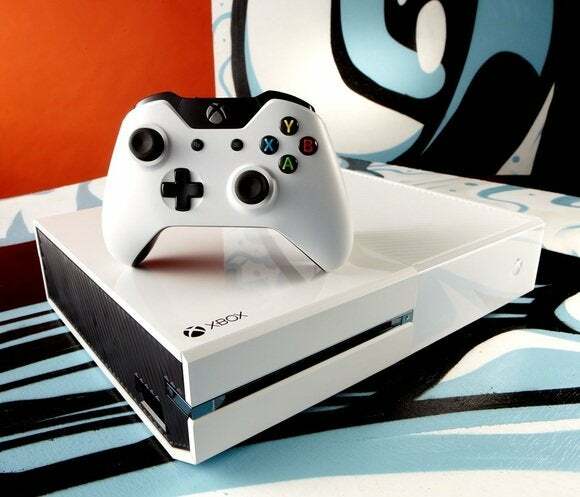 Remember the reports about that Microsoft employee-only white Xbox One? Now Microsoft is making it available to everyone in a Sunset Overdrive bundle landing on October 28 for $400. The console’s color and the game are probably the most notable features on this bunlde. But Microsoft is also throwing in Day One Edition bonus weapons and items for Sunset Overdrive gamers. The last bundle is only available in Europe. Microsoft’s FIFA 15 bundle includes the console, wireless controller, chat headset, 14-day Xbox Live trial subscription, the FIFA 15 game, and an Ultimate Team Legends Gold Pack. While you can’t officially pick-up the FIFA 15 bundle in the U.S., Microsoft is offering American shoppers essentially the same thing with the $400 Madden NFL 15 Bundle—the only real difference being the Madden bundle lets you play the American version of football. The Madden bundle is set for release on August 26. All the announced Xbox One bundles are now available for pre-order from retailers such as Amazon and Best Buy.